Some bird species are good to have around, perhaps for their mesmerizing birdsong and attractive plumage. However, many bird species are considered as pests when a large number of them flock together in a single roosting site. They may contaminate finished goods and raw materials, which lead to revenue losses. Also, slippery bird droppings can cause safety risks to employees and customers such as slip and fall accidents. In the U.S., pigeons, sparrows, starlings, crows, geese, and woodpeckers are some of the bird species that fall into this category. Nesting and roosting sites on your property: If you notice a lot of birds hanging around your property, it is likely an infestation will occur soon. Large amount of bird droppings: If you see a lot of bird droppings around the perimeter of your premises and flat surfaces, an infestation may have already been established. Foul odor: There is no garbage or rotting materials around or near your property, but you recognize a foul odor. 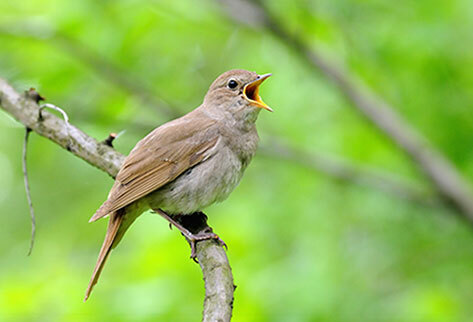 High levels of insect activity: Insects attract birds and your place might become an ideal feeding zone for bird pests soon. Noises: Continuous bird chirping becomes obvious. Signs of young chicks. Using wire meshes: Cover small, cozy spaces like vents with wire mesh. Remember to secure them with nails. Good for preventing pigeons from nesting. Use bird spikes: These spikes may look inhumane or dangerous, but they are actually safe as they do not hurt the birds. These spikes are designed to prevent birds from landing on a surface. Maintain waste disposal areas: You should regularly remove food sources, spillage, and garbage that make a location appealing to bird pests. Install sound devices: Used to chase birds away. Be sure to alter the sounds periodically or frequently for continued effectiveness. Where can bird pests usually be found? They prefer to nest on balconies, slopes, roof voids, tall buildings, and more. You may also see nesting materials being strewn about the affected premises. Can I employ lethal bait to get rid of bird pests? No, it is not recommended. You shouldn’t risk killing the wrong species, which can lead to a violation of state laws. What are the common diseases that birds carry? Bird species such as sparrows and pigeons are known to carry ornithosis and campylobacter. The bacteria they carry can cause salmonellosis, which is a type of food poisoning. Need Help with Bird Control Today? PEST is a leading bird control specialist providing solutions that cover commercial, residential, and industrial establishments. As a Green Shield Certified firm, our methods are humane and will not cause any negative effects. We continually strive to deliver more than what is required and that’s why you can rest assured that your satisfaction is of paramount importance to us. Through our stellar solutions, you will be able to keep birds and bird damage in check with exceptional ease. Start fixing your bird pest problem today. Call us at 212.945.0868 or email us at info@pesteliminationsystems.com to get started.